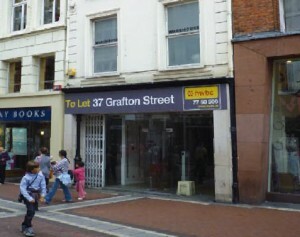 We have just been commissioned to install a Virtual Shopfront in this unit on Grafton Street. The existing facade is doing nothing for the unit or for the streetscape so we will be doing something about that! Make sure to keep an eye out for it and what type of Virtual Shopfront we install! All will be revealed very soon.